progress: no leader, 2 point without holding on, trot over pole, etc. Trail courses also work on memory. 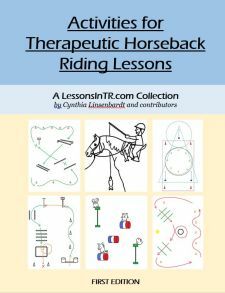 I like to have my riders stop, face the course, quickly explain the steps one at a time, quickly review (“Patty, what is step #1?”), then ride through it with explanations and help, then continue to practice as I take away help. 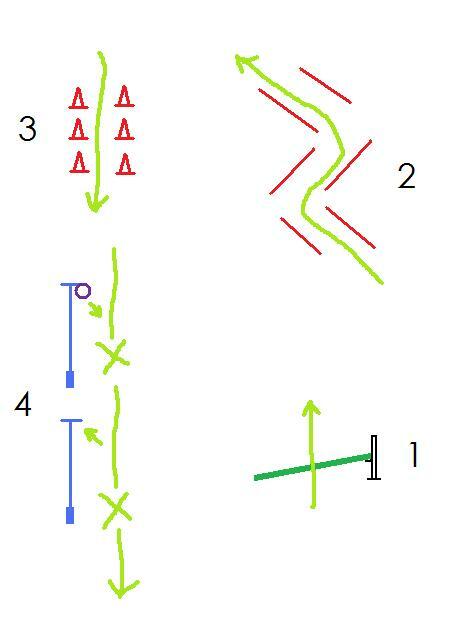 It can also be nice to have a whiteboard to draw the trail pattern on for visual learners. Objective: Demonstrate leg yield using correct aids 4 times during the lesson without a leader or sidewalker. Mount via block, with leader. 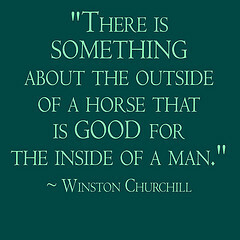 Center of arena, check tack, adjust stirrups – have him do his own stirrups. Cool down – ride 1 lap without stirrups to relax your legs, you’ve been using them a lot! What would you add? Any tips for leg yields? Great lesson! I always explain the amount of leg pressure by telling riders it is like giving their horse a hug with their legs or leg. How do you approach this lesson for studends that do not have full use or stregth on one side of their body or a double amputee as one of the students? Hi! That’s a good question. I have not had amputees before, but one of the riders I used this lesson plan with has a weak side and she is still able to leg yield, we just have to work on using her seat and balance correctly. The horse she rides is very well trained and light on the leg so it does not take much from her leg or thigh to get her to leg yield. For riders with a very weak side or amputees, you could have them use a dressage whip on one side in place of their leg, if the horse is trained correctly to obey it. You can also have a sidewalker apply pressure on the leg or horse, to help the rider get the correct feel, as long as they are properly trained. In all cases they will have to make sure to apply all the other aids very precisely, especially their weight aids. Those are my thoughts, does anyone else have anything to add?